Last installment in the series defining free market capitalism, we reversed engineered Karl Marx’s definition of capitalism and found that it referred to the economic system that produced the hockey stick effect in per capita GDP beginning in the Dutch Republic of the 17th century, picking up England and Anglo nations then the rest of Western Europe. The first principle of that system was protection of private property. That was a necessary, but by itself insufficient cause of the hockey stick. The remaining necessary traits are 1) respect for commerce, 2) mass production and3) individualism. Deirdre McCloskey has expressed well the importance of respect for commerce in his trilogy about bourgeois virtues. If a country protects property but has contempt for commerce, the people won’t go into business but will do what most people in the world have always done: get into government or the military where the “respectable” means to wealth attainment reside. This was one of the main reasons most of Europe remained as poor in 1700 AD as it was in 2000 BC. People in government extracted wealth from the masses through heavy taxation and enriched themselves. Generals grew rich through looting in war. Until the advent of capitalism, looting in war, kidnapping for ransom, and taking bribes as a government official were the respectable means to wealth. Commerce held as much appeal as prostitution. In spite of the fact that much of Europe was predominantly Christian after say the year 500, the Church taught people to hold commerce in contempt. And they did. Businessmen were told that the sins inherent in their profession were so great that it would be impossible for them to go to heaven. So businessmen who grew wealthy in trade would give half of their wealth to the Church in hopes of buying their way into heaven, and spend the other half buying land and titles to nobility so they could rob their fellow citizens. But the Church fathers didn’t get their views of commerce from the Bible or the Judaism from which Christianity sprang. Many of the Church fathers were recruited from among the nobility because of their education, political influence and wealth, according to Peter Brown in Through the Eye of a Needle: Wealth, the Fall of Rome, and the Making of Christianity in the West, 350-550 AD. 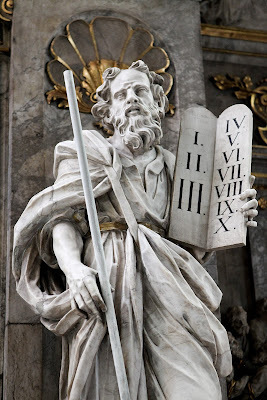 Many were new to the faith and filled in the holes in their Biblical knowledge with the writings of pagan philosophers from Plato to Cicero, all of whom held commerce in low regard. Pagan philosophy dominated the theology of wealth from the second through the 15th century. In fact, pagan intellectuals have always dominated Church teaching on social issues with few exceptions. E. R. Norman drives home that point in Church and Society in England 1770 – 1970. The only exceptions took place when the leading intellectuals were also Christians, such as the Salamancan theologians, the founders of the Dutch Republic and the “clerical” economists in the UK and US during the 19th century. In the late 19th century most intellectuals were atheists and socialists, so Protestant and Catholic theologians became socialists as well. The theologians of the University of Salamanca had the courage to break with the pagans and distill their economics from the Bible and natural law. McCloskey described the radical change in European values from the pagan contempt for commerce to the bourgeois virtues but fails to offer a convincing reason for the change. But the teaching of the Salamancan scholars explains it well. Their theology gave people permission to be pro-business and godly at the same time. All of the poor countries today have failed to make the change in values that would give them respect for business as a means to wealth. The great economist Thomas Sowell details the trials and tribulations of “middleman minorities” in his Black Rednecks and White Liberals. Jews in Europe are the prototypical middleman minorities. Christians persecuted them relentlessly because Christians restricted them to business as their only means of support, barring them from government or the military. As business people, they became wealthy and inflamed the envy of Christians. Christians in Muslim nations, Chinese in Southeast Asia, Lebanese in West Africa and Koreans in Los Angeles recently have all been middleman minorities engaged in commerce that made them wealthier than their neighbors. That wealth and their hated professions ignited envy, which boiled over into frequent riots and murder. 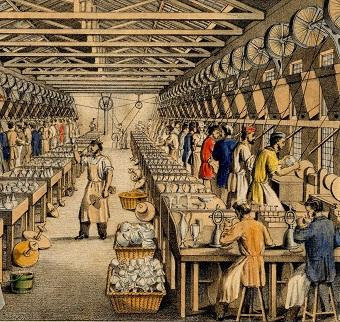 Craft production was always small production for the wealthy. Capitalism is mass production for the masses and that requires investment in capital goods. Hence the appropriate name, capitalism. That began to happen first in the Dutch Republic. Capitalism requires 1) protection of property and free markets, 2) respect for commerce, 3) mass, capital-intensive production and 4) individualism. I saved individualism for last because it is the most difficult and will discuss it next week.